Being a Dad (especially a new one) means lots of late nights and sacrifice for the cute new addition to the family. 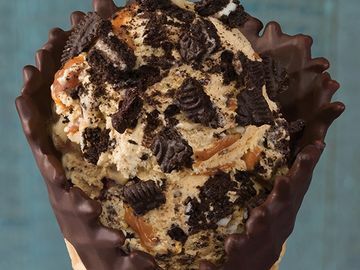 With Father’s Day just around the corner, here at Baskin-Robbins we wanted to highlight some of our favorite gift giving ideas to get that new Dad in your life! 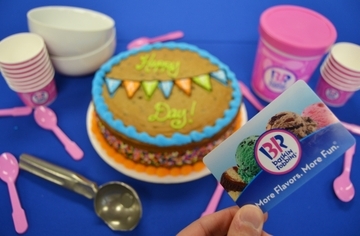 #1: A Baskin-Robbins Cookie Cake to celebrate the new arrival! 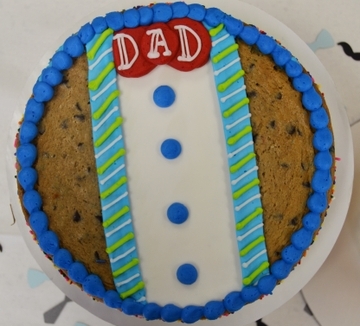 Our Cookie Cakes are completely customizable with Dad’s favorite Baskin-Robbins ice cream flavor, and you can order them online at online at www.BaskinRobbins.com/onlineordering or in your local Baskin-Robbins shop. #2: Pre-Packed Quarts to keep in the freezer for a midnight snack that will make those long nights a little sweeter! 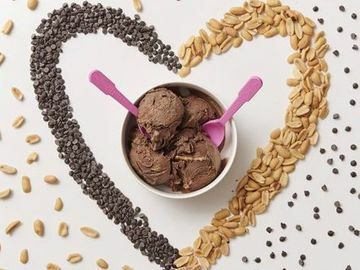 Any delicious flavor in the store can also be fresh-packed to take home too, including our June Flavor of the Month, Caramel Macchiato, which will help give dads a well-needed coffee kick! 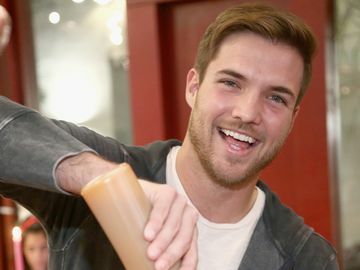 Get him the gift you know he will love! 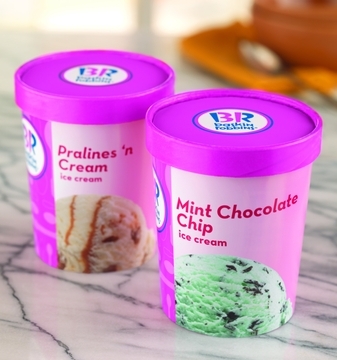 Be sure to stop by your local Baskin-Robbins to grab all these new dad essentials. 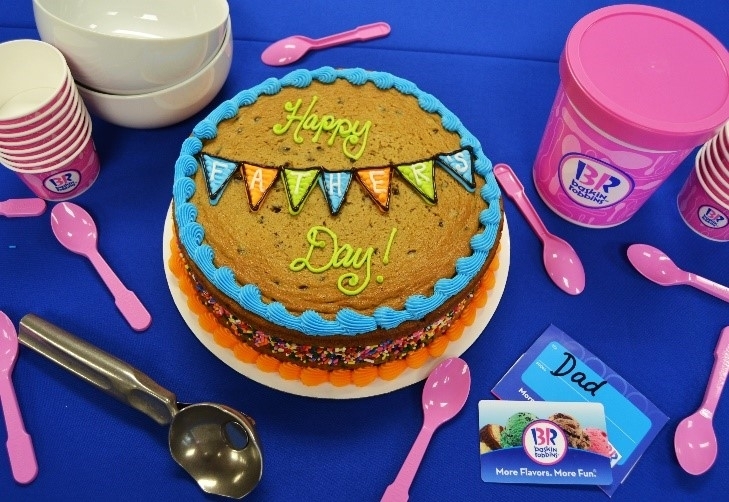 How are you celebrating Father’s Day with Baskin-Robbins? Let us know on Facebook, Twitter, and Instagram! 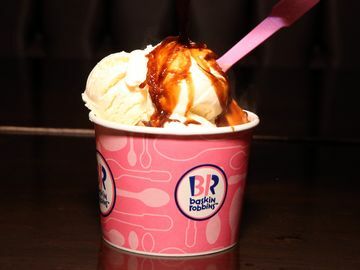 To stay up to date on all things Baskin-Robbins, sign up for our email news alerts at news.baskinrobbins.com/alerts. 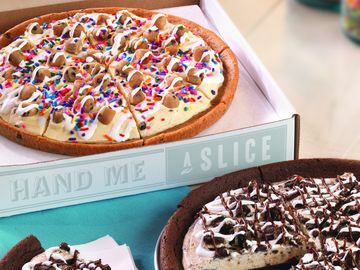 Even National Pizza Day Calls for Baskin-Robbins!